One of the most fascinating aspects of the internet is that nothing ever seems to die. Blogspot poems, incriminating tweets, and old pop songs can lie dormant for years before suddenly taking on a new life. Old cultural artifacts can be drawn from the ether and suddenly return to prominence now divorced from their original context. One of the lastest examples of pop necromancy is the seemingly inexplicable popularity of the song “Plastic Love” by Mariya Takeuchi. This Japanese disco ballad was a charting single in the 1980’s, but was quickly forgotten after its release. Now the track has racked up over 18 million views on YouTube. Human curiosity and YouTube’s algorithm have given similar notice to a number of other Japanese pop songs from the 1980’s almost all of which belong in a little known genre called city-pop. Today, musical micro genres such as vaporwave or future funk sample, imitate and thus have extended the cultural impact of city-pop far into the cultural future. However, the artificial sound of city-pop belies a strange history of imperialism, resistance, and re-appropriation. It’s a story of the sort of oddities that emerge from cultural exchange between overlord and subject, master and bondsman as well as the unending struggle of underrepresented artists to have mainstream acceptance. Is this dynamic repeated with the return of city-pop or can western audiences finally approach Japanese music on a level playing field? Following the story of Japanese artist Haruomi Hosono on his journey from the east to the west and back again (a few times) speaks to this bizarre cultural dynamic. Japan was in ruins at the end of WWII. Industry, politics, and culture were controlled by the U.S. occupation force and left little room for Japanese cultural expression. The records primarily played and sold were the rock n’ roll music popular among soldiers stationed in Japan and the music gradually trickled down to regular Japanese citizens. Many young people in Japan felt alienated by the constant changes in society, and protests against the government and the American presence became a fact of life. The atmosphere of youthful rebellion was in the air and rock music gave many an opportunity to let dissent be heard. When Kyu Sakamoto’s song Sukiyaki was number one on American charts in 1962, it may have seemed as though Japan had finally found a voice. However, the words in this song, reflecting on the failure of protest movements against continued American military presence, were lost on American audiences who more or less treated it as a novelty. This conflict between western and Japanese interests toward rock music was epitomized in a debate called the Nihongo Rokku Ronsō (Japanese-language rock controversy) about whether rock music should be sung in Japanese or exclusively in English. Essentially the question was whether rock music was something totally foreign to Japan, something created primarily for American consumption, or if the genre could belong to the Japanese musicians creating it. This debate was finally put to rest by the ascendency of the group Happy End and their 1971 album Kazemachi Roman. Musically, their sound was deeply indebted to The Beach Boys and The Beatles, however they sang exclusively in Japanese. The album was a hit in Japan and, flush with money and success, the band traveled to California to record their next project. They were able to enlist legendary Beach Boys producer Van Dyke Parks, but initial optimism gave way the surreality of a Japanese band making an album in America. The band had trouble communicating with Parks, both literally and figuratively, as he seemed to have trouble understanding their vision. The animosity came to a head when, according to band member Haruomi Hosono, Parks showed up to the studio drunk and lectured them about Pearl Harbor. The album became another iteration of the conflict between Japanese and American culture. Japanese rock music was still a novelty in America and a pale mirror of the more accomplished western rock acts. This experience so disillusioned the band that they broke up soon after in 1973. Their final song entitled Sayonara Amerika, Sayonara Nippon served as an epitaph for a band that felt caught between two worlds and understood by neither. 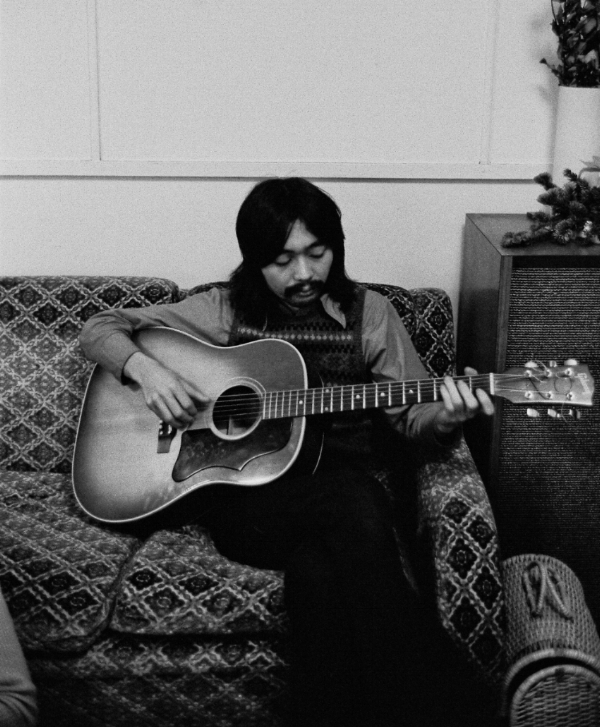 Somewhat defeated, Haruomi Hosono began to work on his solo career in the highly volatile music scene of 1970’s Japan and become interested in the strange world of “exotica,” an invented musical genre using campy sound effects and cocktail lounge vibes to conjure images of tikki bars and the dreamy South Pacific. 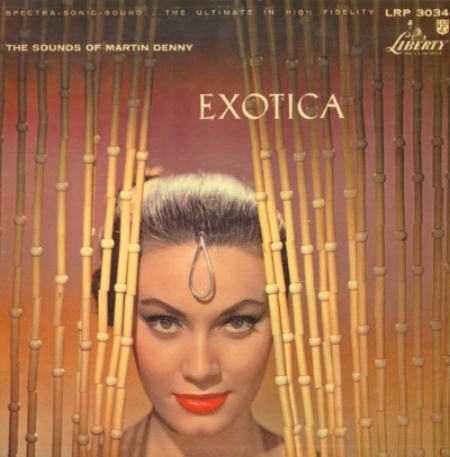 So the closest thing to Asian music trending in the west was actually written and performed by white men under the genre heading of “exotica.” Just like the old travelogues that described the “mystical orient” for Victorian audiences, American albums such as Martin Denny’s 1957 opus Exotica presented a wholly commercial aural landscape of Asia. Their presentation of Asia was all wind chimes and soft flutes, a land of mystery and sensuous delights totally divorced from the reality of Asian culture. Hosono knew that it was still unacceptable for a Japanese musician to play western rock, but could Japanese musicians play Japanese music as interpreted by western musicians? Hosono could likely see that the cultural exchange between Japan and the west was deeply unequal. Japan had been obliged to adopt authentic American rock and, in exchange, had been presented with fictionalized Asian sounds as the genuine article. Exotica was a cudgel used by Westerners to misinterpret the Asian character while truly Asian music, such as the music Hosono was making with Happy End, still had no place. Hosono would now try to steal back his musical identity by re-appropriating the Asian music which Westerners deemed acceptable. He thought he would make exotica sound authentically Asian and a true representation of Japanese culture! A few of Hosono’s pieces tended to highlight the sense of foreignness implicit in exotica, however his primary fascination was with the wish-fulfilment aspect of that music. Far away beaches, desert islands, foreign ports with cheap liquor, music that focused on a nebulous world of pure relaxation existing far from the workaday world. Hosono put out the 1978 album Pacifica to create a Beach Boys inspired soundscape to soothe the soul. Pacifica is mostly forgotten these days outside of Hosono fan circles. It did not appear to have much impact at the time and seemed to be another novelty in a music career filled with experimentation and new ideas. It’s only in retrospect that pop historians can see that Pacifica laid the groundwork for the coming wave of City-Pop. The horns, the cheesy synths, and the omnipresent jazz instrumentation all coalesced into an ideal piece of pop escapism that couldn’t help but leave an impact. Hosono would take this vibe with him only to extrapolate once again with his next band, the legendary Yellow Magic Orchestra, and their famous 1979 cover of Martin Denny’s Firecracker. This song took out Denny’s wind chimes and xylophone and replaced them with synths and a hard drum beat. In a way, this new sound was still just as exoticized as the original, but with a very different effect. The track sounded novel and almost entirely otherworldly, apart from the Asian scales carried over from the Denny version. It was at once futuristic and antiquated, western and eastern, a combination of all the sounds that had been kicking around Hosono’s head. Yellow Magic Orchestra had retaken the theft of their culture by becoming so exotic that they looped back around and became authentically Asian. The synth infused dance track caught on in the United States, became a staple in early hip-hop DJ sets, and landed the band a gig on Soul Train. Japan had stabilized and grown in the tumultuous ’70’s and the success of Yellow Magic Orchestra marked the end of US cultural suzerainty in Japan. It seemed now that Japanese musicians could forge their own sound, exchanging with the West as they saw appropriate. The bad times were now over in Japan. The 1980’s saw a booming economy, a functioning government, and greatly reduced American interference. Japanese automakers had even begun to outstrip Western markets and in the course of a decade the car had moved from being a middle class signifier to a ubiquitous part of everyday life in Japan. With the ubiquity of the car comes, of course, the ubiquity of the car stereo. Japanese people now consumed the majority of their music while driving. There was a sudden surge in the demand for music to fill the airwaves. This new music had to reflect the new prosperity and self-determined spirit of the nation. It had to be modern, urban, and fun. With Hosono off making electronic experiments with Yellow Magic Orchestra, it seemed that the mantle of j-pop superstar was passed to his one time collaborator on Pacifica, Tatsuro Yamashita. His work with Hosono, and Hosono’s general exotica experiments, appeared to have struck a chord. The fantasy of Pacifica was present in Yamashita’s work, although the listener was now escaping to city nightlife rather than the beach. Yamashita created hit after hit over the course of several years and his presence on car radios across the country catapulted him to stardom. While many contemporary musicians, such as Yamashita collaborator Taeko Ohnuki, had also been following Hosono’s lead and began independently moving in the direction of city-pop, Yamashita had now firmly established the genre and it’s conventions: the jazz guitar of Hosono’s exotica, the synths of Yellow Magic Orchestra, the funk bassline of Western music, and lyrics conveying a world so leisurely and carefree that it made Pacifica feel restrained in comparison. Yamashita reached his peak with the 1982 release of his album For You, considered to be a fan favorite, and his marriage to Mariya Takeuchi, the artist behind “Plastic Love”. 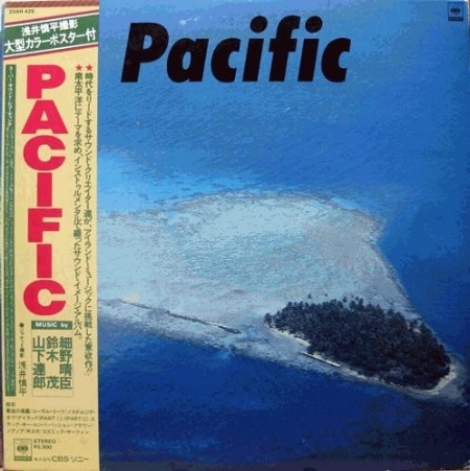 Innumerable city-pop artists followed in the wake of this success with many, including Yamashita himself, by using Pacifica as a template for albums about beachside paradises. The original context of Hosono’s work had been entirely shorn away with only the sound of commercialized leisure remaining. City-Pop becomes something of a paradox in this light as Hosono’s original vision had always been an outward facing conception of music. The underlying theme of his whole body of work, from Happy End to Yellow Magic Orchestra, was how Japanese people could meaningfully express themselves when their identity was defined by a Western perspective. His hope had been that, by re-appropriating the inherent cruelness and the debased orientalism of exotica music, he could reclaim a sense of cultural identity for a group of musicians who truly felt that they had no nation. However, Hosono’s desire to compose easy-listening music made by and for Japanese people may have succeeded too well. Perhaps people were more aware of the irony and the social context of Hosono’s message during the upheaval of the 1970’s, but the excess of the 1980’s left the population critically illiterate. City-pop, in contrast, was now an inward facing conception of music. Instead of a reflection of how Westerners saw Japan it was a reflection of how the Japanese wanted to see themselves. City-pop presented Japanese people as equal to Westerners. The Japanese were now as powerful, as wealthy, and as happy as any American. The reconstruction after the war and the introduction of American style capitalism had caused some growing pains, but now Japan was on top. The Japanese auto and electronics industries were so powerful that even the Americans were worried about losing their market share to a former subject nation. If Hosono’s concern was how Japan could have a voice in a world dominated by American values then Yamashita’s was that Japan had succeeded in making those values her own. Hosono’s ideas, now molded by popular demand, were a vision of Japan as indistinct from other Western nations. Unfortunately much of this narrative was an illusion. The confidence was all a mirage to conceal the social hollowness of corporate life. The average Japanese person was not listening to city-pop on their way to the beach but during their commute to work. For most it was merely an aspirational window of a lifestyle that they could one day receive if they worked hard enough. The artificiality of the overproduced music mimicked the artificiality of salaryman’s dead end existence. They were captivating on the surface, but empty on the inside. The economic stagnation of the 1990’s brought this societal rot into sharp focus and instantly made city-pop appear gauche and dated as the more irreverent Shibuya-kei genre of pop music grew in popularity. City-Pop records seemed consigned to a life at the bottom of bargain record bins or on rotation in the houses of nostalgic geezers. That is, of course, before it’s YouTube resurrection. So the question is, of course, why now? Much of the appeal lies in a latent nostalgia. The songs as contextless media now sound like some idealized vision of the ’80’s and the original message of carefree excess still resonates. However, Hosono’s critical lens still lives on. Vaporwave musicians found a sort of kindred spirit in the hollowness of this music as it appeared to be doing un-ironically what they had already been doing in jest. Many vaporwave composers have begun to re-appropriate these old sounds, this corporate pap, and repackage them as the epitome of capitalist estrangement. Still, the willingness of vaporwave artists to aestheticize and exoticize Japan, even corporate Japan, reminds one of Martin Denny’s stylized orientalist vision. Modern Japan has fallen far since its 1980’s peak and again finds itself being interpreted largely by western artists. Can the Japanese artists speak for themselves? Will this latest western appropriation of Japanese music lead to another Hosono and even deeper musical evolution? Only the strange future of this strange genre will let us know.